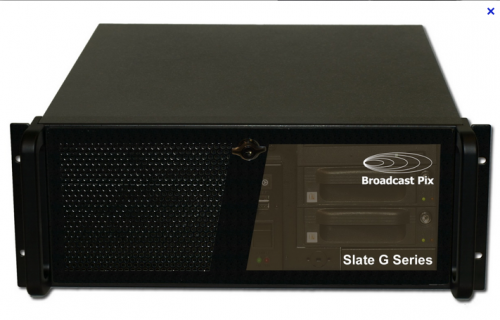 Slate Broadcast Pix Slate is a popular hybrid live production system perfect for SD and analog productions, and can optionally input and output HD and DVI. Slate is easy on the budget. Like all Broadcast Pix system, Slate combines an integrated switcher, clips tore, CG and device control. 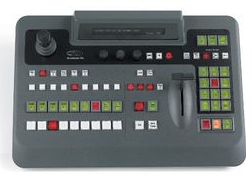 It has a choice of control surfaces that provide exceptional integrated control to combine cameras, clips and graphics into compelling live video. And their Fluent workflow streamlines the flow of files and data into your studio from all over your studio.